NYT bestseller Hugh Howey’s previously self-published HALF WAY HOME, in which an abort order to terminate a colony ship fails, and the remaining colonists don’t know if their new home or their fellow survivors are the greater threat, to John Joseph Adams at Houghton Mifflin Harcourt, in an exclusive submission, for publication in fall 2019, by Kristin Nelson at Nelson Literary Agency. This year’s nomination periods for the Hugo Awards and the Nebula Awards are now open. To assist you in finding material to nominate, I’ve assembled this post to list everything that I worked on in 2018. The 2019 Hugo Awards will be presented in Dublin, Ireland during Worldcon 77 (Aug. 15-19, 2019). Nominations close on March 15, 2019 at 11:59pm Pacific Daylight Time. The list of finalists will be announced “in early April” according to the Worldcon 77 website. Nominations may be submitted through the online ballot. If you’re registered Worldcon 77 will send you (or likely already has sent you) a personalized link via email that will allow you to vote. From November 15 to February 15, Active and Associate SFWA members may submit nominations for the Nebula Awards. Nominations may be submitted through the online ballot, available here. For more information, visit SFWA’s How to Vote page. The vast majority of Lightspeed’s original fiction from 2018 is available online (and also much of the 2018 original fiction is available as a podcast). If you are a SFWA member, you can also download an ebook (epub/mobi/pdf) compilation of all 2018’s original material from the SFWA forums. All of Nightmare’s original fiction from 2018 is available online (and also much of the 2018 original fiction is available as a podcast). If you are a SFWA member, you can also download an ebook (epub/mobi/pdf) compilation of all 2018’s original material from the SFWA forums. For SFWA members, the eligible novels I edited for John Joseph Adams Books are available for download in the SFWA forums. After the jump, you’ll find a list of all of the 2018 eligible stories/authors that either appeared in Lightspeed or Nightmare, or in projects I’m otherwise affiliated with. Everything is sorted into their proper award categories. In the interest of clarity (and to avoid the confusion that perhaps I’ve left something off the list by accident), I’ve listed some items that are ineligible and have them struckthrough to indicate their ineligibility. One World, the publisher of my anthology (co-edited with Victor LaValle), A PEOPLE’S FUTURE OF THE UNITED STATES, will also be featuring the anthology at their booth, so be sure to swing by and ask them about it! Otherwise, on Sunday, you might find me loitering around the Houghton Mifflin Harcourt booth, where they’ll have plenty of John Joseph Adams Books titles for sale (as well as HMH’s other genre stuff, like Tolkien and Atwood), and/or at the One World booth, or heck maybe at any of the other publisher booths since that’s where the people I know probably are. If you see me, say hi! NYT bestselling author of the DIVERGENT and CARVE THE MARK series Veronica Roth’s adult debut THE CHOSEN ONE, which tells the story of five friends who saved the world when they were teenagers, but now, as celebrity adults, must face even greater demons—and reconsider what it means to be a hero by destiny or by choice, to John Joseph Adams at Houghton Mifflin Harcourt, in a major deal, at auction, in a two-book deal, for publication in fall 2020. The deal announcement first ran in Entertainment Weekly, which has a bit of extra background on it. Author of THE CHANGELING Victor LaValle and editor of the Best American Science Fiction and Fantasy series John Joseph Adams’ A PEOPLE’S FUTURE OF THE UNITED STATES, an anthology of 25 original speculative fiction stories that challenge oppressive narratives and imagine a future in which the country is shaped by justice and freedom, featuring stories by Lesley Nneka Arimah, Jamie Ford, Hugh Howey, N.K. 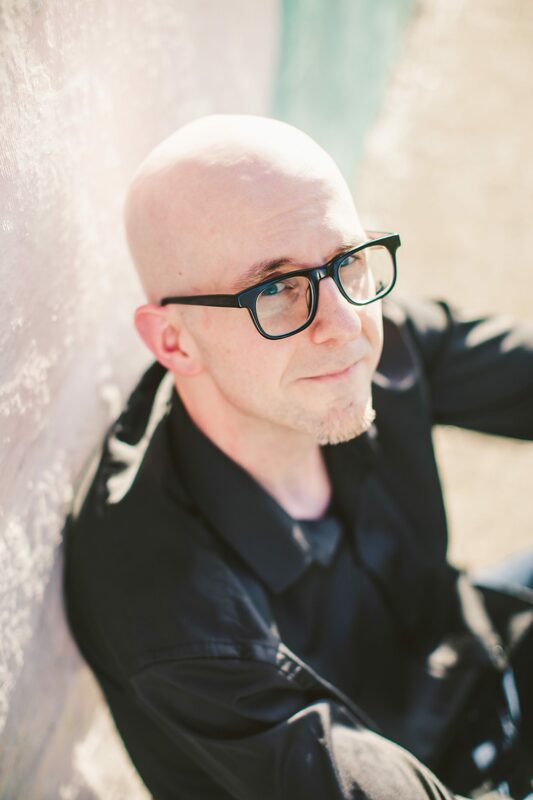 Jemisin, Seanan McGuire, Alice Sola Kim, Daniel José Older, Charles Yu, and more, to Victory Matsui at One World, in an exclusive submission, for publication in February 2019, by Seth Fishman at The Gernert Company (NA). 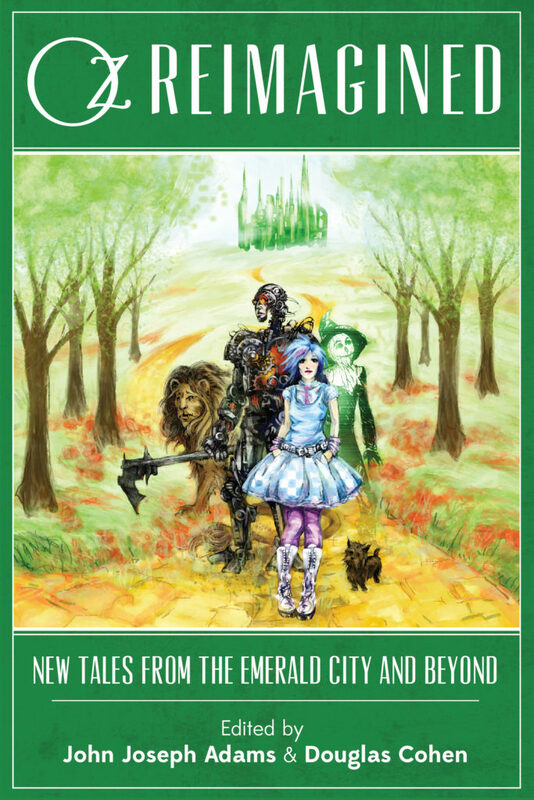 Oz Reimagined (which I co-edited with Douglas Cohen) is available a deep discount in both trade paperback ($7.99) and Kindle (99¢) through May 31. When L. Frank Baum introduced Dorothy and friends to the American public in 1900, The Wonderful Wizard of Oz became an instant, bestselling hit. Today the whimsical tale remains a cultural phenomenon that continues to spawn wildly popular books, movies, and musicals. Now, editors John Joseph Adams and Douglas Cohen have brought together leading fantasy writers such as Orson Scott Card, Tad Williams, Jane Yolen, Jonathan Maberry, and Seanan McGuire to create the ultimate anthology for Oz fans—and, really, any reader with an appetite for richly imagined worlds. Some stories are dystopian… Some are dreamlike… All are undeniably Oz. This year’s World Fantasy Awards nomination period is now open. To assist you in finding material to nominate, I’ve assembled this post to list everything that I worked on in 2017. All of Lightspeed’s original fiction from 2017 is available online (and also much of the 2017 original fiction is available as a podcast). All of Nightmare’s original fiction from 2017 is available online (and also much of the 2017 original fiction is available as a podcast). After the jump, you’ll find all of the 2017 eligible stories/authors that either appeared in Lightspeed or Nightmare, or in projects I’m otherwise affiliated with. Everything is sorted into their proper World Fantasy categories. In the interest of clarity, I’ve eliminated any science fiction from these lists, as SF is not eligible for the World Fantasy Award.